I wasn't able to do a review last week, as I was really sick. I feel much better this week, however due to getting ready for Gleetch's latest gig in London, I am still mega busy. But that doesn't I'm not reviewing anything, no! 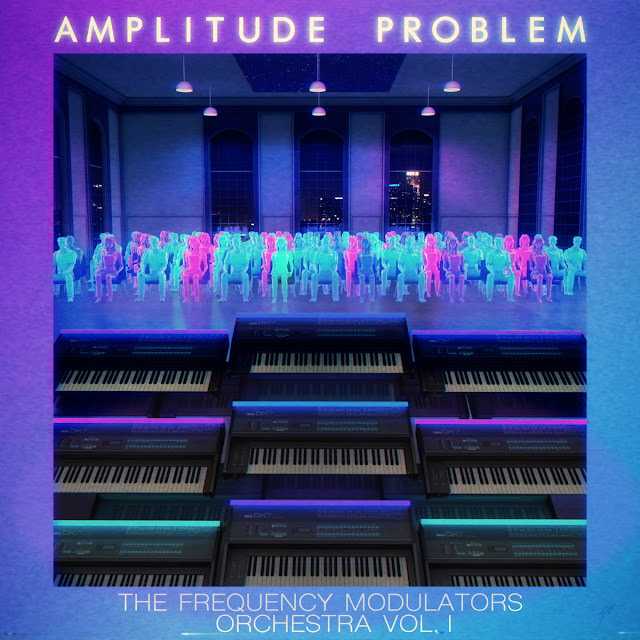 Today I'm reviewing, Amplitude Problem's latest album, 'The Frequency Modulators Orchestra Vol.1' (released via Ubiktune). Amplitude Problem first started out in chipmusic, way back in the late 80s when the demoscene started up, making music using Atari ST's with the demo crew known as, 'SYNC'. He has long since composed on a variety of different projects, from the likes of 'Mitch Murder' & 'Lazerhawk', to videogame sounds track such as, 'Power Drive 2000'. AP's latest album, 'The frequency Modulators Orchestra', is a focused conception upon the fusion of Electro & Jazz, whilst exclusively using FM synthesizers & Lofi Drums. Although Jazz is the main genre through this album, I feel there's a lot of variety in the genre itself, with both groovy tunes & smooth, soulful ballads. I myself was particularly taken by the smooth jazz tracks, as I felt those song caught my attention more easily. 'The Mutant Mind of Mine' is a good example of this, using the relaxing sound of the fm synth with a gentle swing, to help convey much atmosphere in the background. Not only that, but the entire song radiates the 80s feel, and the pop culture, the likes of Miami Vice and St Elmo's Fire, I also must give a shout to vgms as well, like Final Fantasy 4. Over the top of the keys, jazzy trumpet & guitar leads are introduced, also courtesy of the fm synth, adding in a further coating of jazz to the track. Whilst this song is slow, it's nice & relaxing groove compared to the other tracks, which are more upbeat. I also like the fact the leads are more sporadic, having no direction, something that Jazz is generally known for. Another track that's goes a step further beyond the rest of the album is the final song, 'It's Everything'. It contains something of the best melodic leads & bass lines off the album, whilst remaining catchy with it's iconic sound & hooks. It also feels that AP wanted to focus a bit more on the funk aspect of his melodies whilst still retaining that jazzy nature of the album. My favourite part has to be face melting solos throughout, taking inspiration from the sound of a raunchy guitar for the synth. However I cannot forget the bass, which seems to be the glue that holds rest of the song together. Without it, I don't think the song would have as much of an impact as it does. It was nice change of pace reviewing Amplitude Problem's 'The Frequency Modulators Orchestra'. 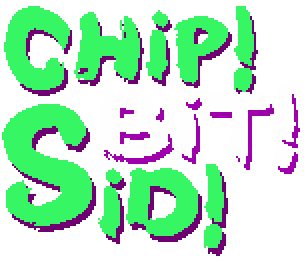 I generally review a lot of dancey music that use the staple gameboy, and rarely ever hear some good jazz music from the chipscene. It's made me feel that I really need to get out of my comfort zone of EDM & gameboys.